Richard Maltby is Professor of Screen Studies at Flinders University, South Australia. 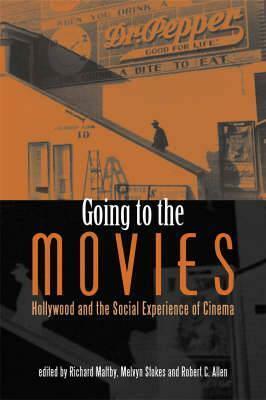 His publications include Hollywood Cinema, Dreams for Sale: Popular Culture in the Twentieth Century and `Film Europe' and `Film America': Cinema, Commerce and Cultural Exchange, 1925-1939, which won the Prix Jean Mitry for cinema history in 2000. Melvyn Stokes teaches at University College London, where he organises the annual Commonwealth Fund Conference on American History. His edited books include Race and Class in the American South since 1890, The Market Revolution in America, and The State of U. S. History. Robert C. Allen is Professor of American Studies, History, and Communication Studies at the University of North Carolina at Chapel Hill. He is the author of Horrible Prettiness: Burlesque and American Culture, which was awarded the Theatre Library Association's George Freedley Memorial Award. He is the co-author with Douglas Gomery of Film History: Theory and Practice, and the editor of two editions of Channels of Discourse: Television and Contemporary Criticism.